It’s the day after Halloween and chances are you are sitting with large amounts of candy at your disposal. The truth is, the candy probably hasn’t been sitting here since yesterday thanks to early purchases and candy bowls here and there, so today is not the first day you are dealing with the temptation. I have gotten a couple messages about how to work this whole candy thing and so I thought I would address it on a blog post. Before we get to the practical tips, let’s have a heart to heart. I can give you 10 tips on how to keep it out of your mouth or how to better manage it, but if you don’t really care to keep it out of your mouth, it’s not going to matter! Willpower and “working the system” only goes so far if you don’t really want it…”it” being a balanced, free life. It comes down to choices and that’s empowering. 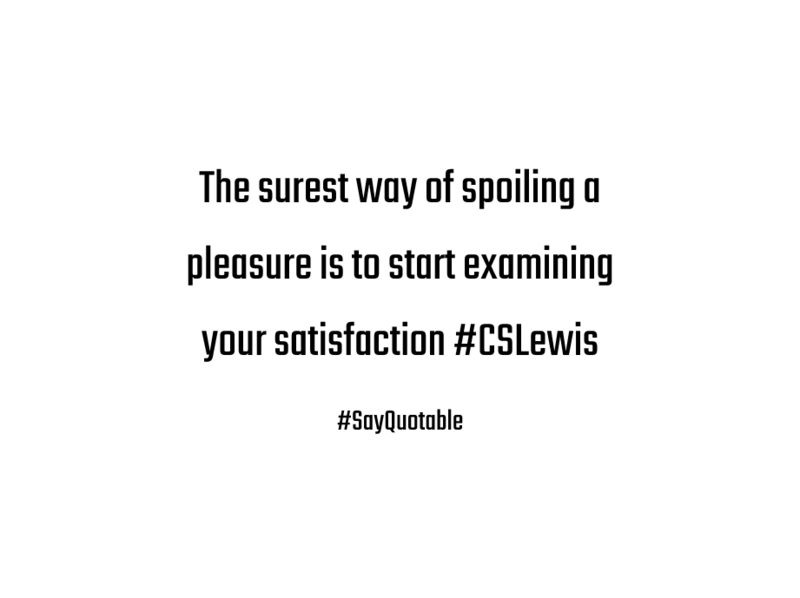 I love this quote from C.S Lewis. I mentioned it a couple weeks ago in my live video as we were talking about cravings. If you find that cravings or “pleasures” in life have a stronghold in your life then maybe you need to think through why it really does satisfy you. What are you missing in your life (physically or emotionally)? Once you have identified why the ____ in your life satisfies you so much, then you can work on the real issue of getting rid of or putting better boundaries around it. “Pleasure is always within our power. Remember, tips that work for some may not work for others. For example, I try not to “break the seal” until much later in the day. Why? Because I can’t stop once I get started. That’s part of my wiring and because I know this, I can work with that. For others of you, this may cause a huge binge later at night. A big part of your success in your health is understanding YOURSELF. Quit trying to do what everyone else is doing and work with your beautiful, unique self! Tell yourself, “I can buy this candy ANY DAY of the week”. Remove the urge to eat it RIGHT NOW. The last time I checked, Take 5’s and Kit Kats are at every single store I go to all year long. Give yourself a pre-determined amount that you will have for the day. Set it out and savor each bite. Make a healthier option. I don’t do well with just removing something and not replacing it so when I try to get rid of a food item that’s not the best for me, I try and do a healthy swap. These are one of my favorites along with with these, and don’t forget protein shakes! I’ve found they really help me with my sweet tooth. (I love this brand and this brand of protein powder). 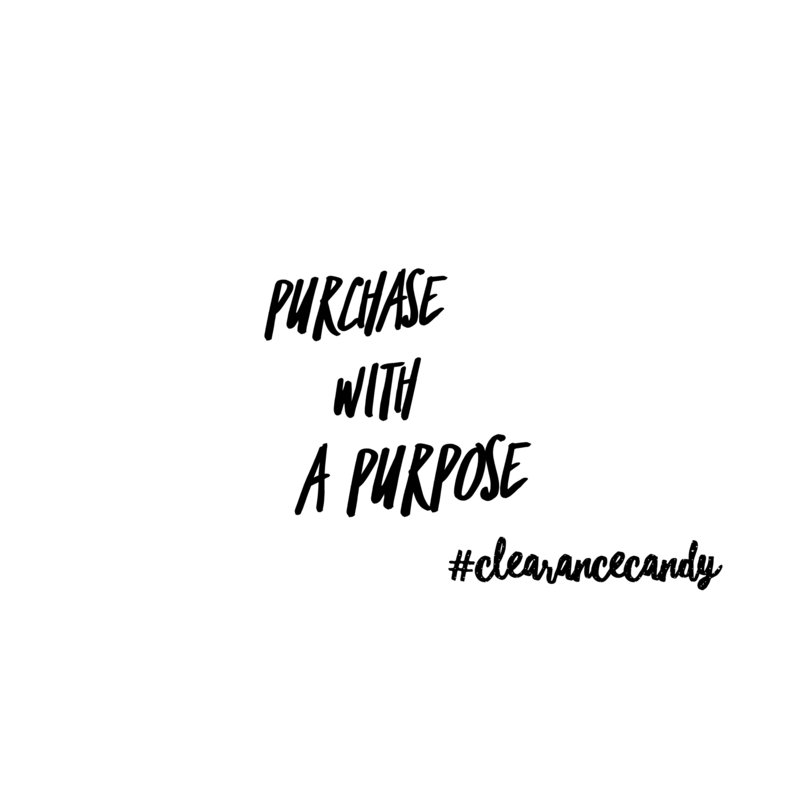 Only buy clearance candy if you have a purpose for it. Purchase with a purpose. I know some of you frugal folks want to buy it just because it’s 75% off. Fine, I get it (I would consider myself fairly frugal) but don’t just buy it to open and sit around the house. 7. Give yourself grace. For pete’s sake, we are human. You may binge on the laffy taffy and chocolate one night, or 2 nights. OK then. Let’s call it what it is and then move on. Set yourself up for success the next day by removing it and having a plan. I’m sure I could list a number of other tips but this will get you started. I would love to hear how you deal with this temptation, so leave a comment below with your best tip! These sound great. BUT. Is it possible to substitute canola oil for the coconut oil. Cardiologist has specifically NO coconut oil. Due to allergies, stevia is out. Any suggestions? I would like to try them. You need a new cardiologist. Canola is awful, not to mention it’s GMO. He is part of the “fat is evil” lie.